Welcome to another week of Garage Sale Finds Friday where I share with you some of my favorite garage sale finds of the week. This week, I scored big time on some vintage awesomeness. I hit several barn sales and had so much fun digging for treasures! 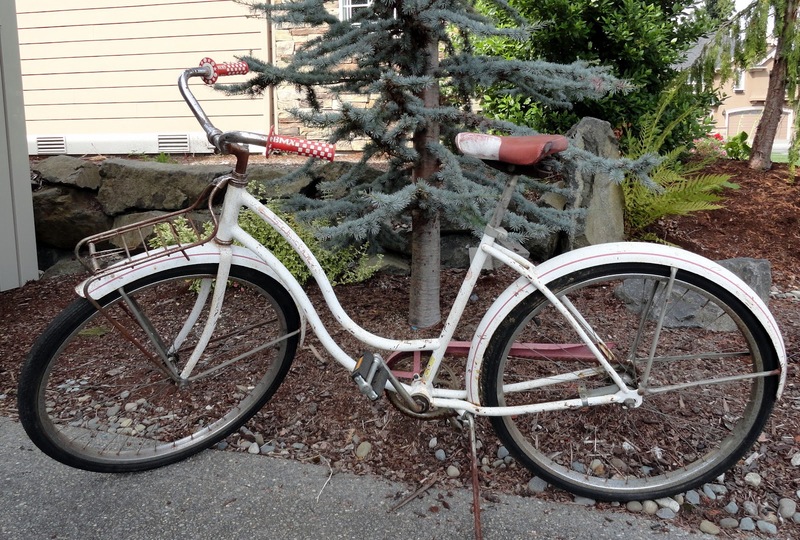 First up, I found this vintage Schwinn bike. It's rusty, but it's awesome! Funny thing, this week everything seemed to come in 2's. I found another vintage Schwinn bike just like it, which is how I was able to negotiate this bike down to just $5! It's pretty rad don't you think? I walked past this old Pepsi crate twice and was about to leave when I spotted it hiding under a table. $2 is all it took to get this big guy home. 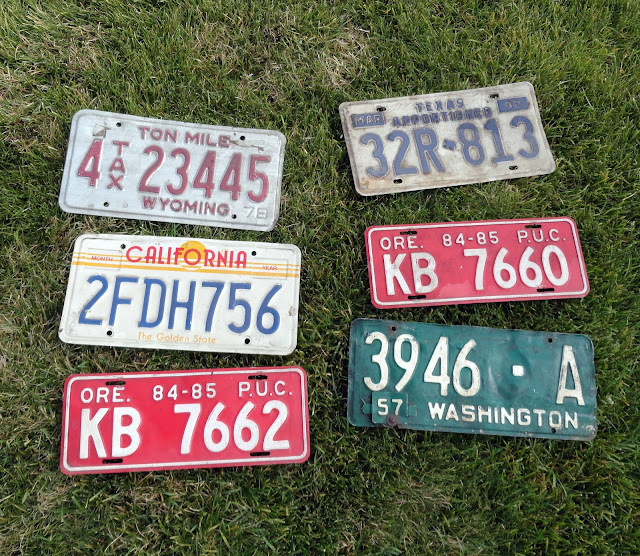 I've always been partial to vintage license plates. I sorted through a huge pile to find these older plates. The best find was the '57 Washington plate. At $1 a piece, I couldn't pass them up! 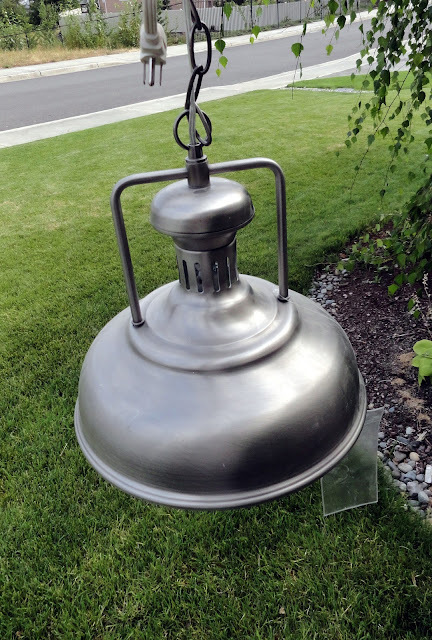 I was so excited when I saw this pendant light for sale. Brand new with the tags on it! 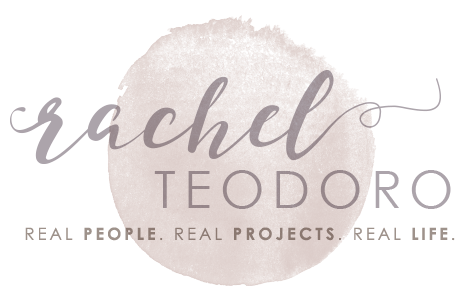 It reminds me of something out of the Restoration Hardware catalog don't you think? Guess how much I paid for this bad boy? Along the side of the road, this gentleman had lined up half a dozen chairs. This chair in particular spoke to me. It was sturdy and had really cool age to it already. 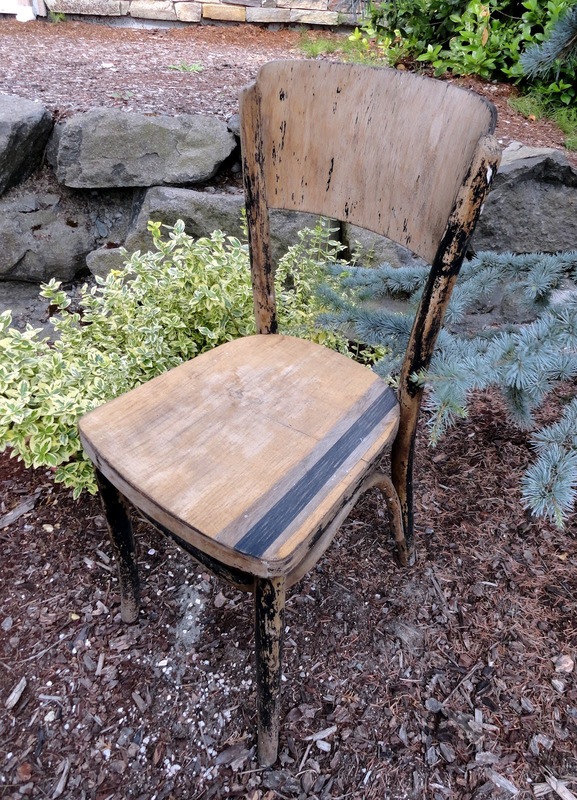 I noticed later that the chair's seat had been mended with a strip of wood. I made that strip just a little less obvious by painting a strip of black. Now it looks like it was totally meant to be that way. I call it my racing stripe chair. I bought this vintage screen door from the same garage sale as the racing stripe chair. I saw it and just had to have it. 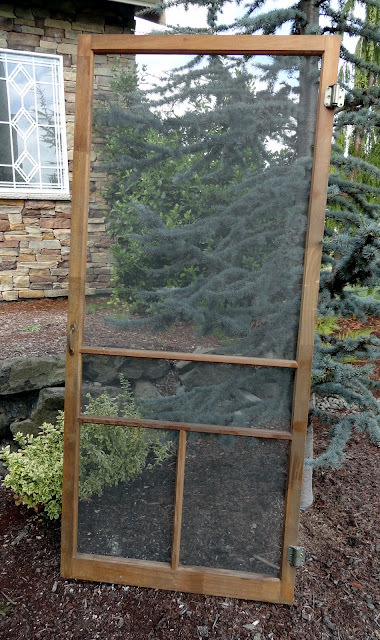 How often do you see screen doors at garage sales? Well, this day, I actually saw two of them! See, I told you everything came in two's that day. This screen door was in the process of being re-screened (I did the bulk of the work re-screening it), but that new screen made all the difference. The whole time I re-screened the door I sang Taylor Swift's song "Our Song". Yep, the sound of a screen door slamming just screams long slow summer days for me. I picked up the screen door and the chair for $15. 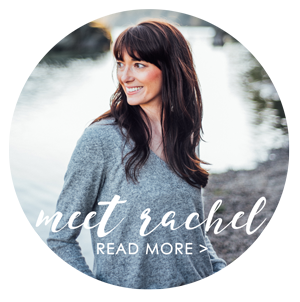 Super fun vintage finds, am I right?! What did you find this week at garage sales? Seriously you ALWAYS find the best stuff! The previous commenter is right! These are some pretty amazing finds! Oh wow, love your finds!! 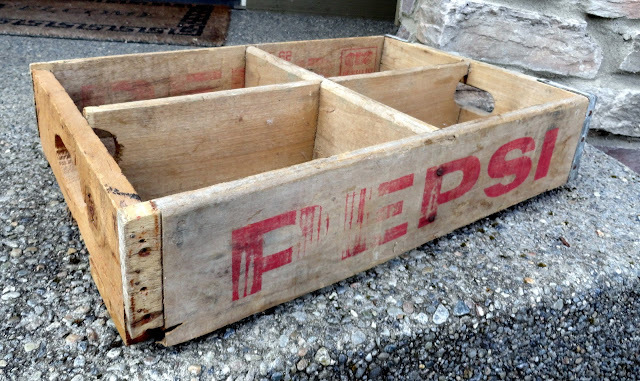 And that Pepsi crate...I love that soda so much I named one of my cats Pepsy! Gotta find me one of them. Love cottage/vintage style screen doors...we have 2 of them, one on a bedroom and one on the games room. Would love to find 2 more for the front doors. I think I need to follow your garage sale trail! Love those!!! Especially the pendant light! What a score! UGH!!!! I would have loved to fund those license plates. I am doing a project for my boys' room and need a plate from every state. I am not getting very far. Anyway you would want to share where you got them? ?